Perfect way to keep birds happy and floors dry. Bath easily attaches to food or door opening of any wire cage. 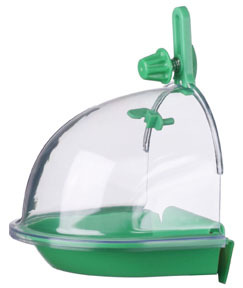 We even know some customers who use it as a cleaner way to serve messy birds fresh fruits and veggies!